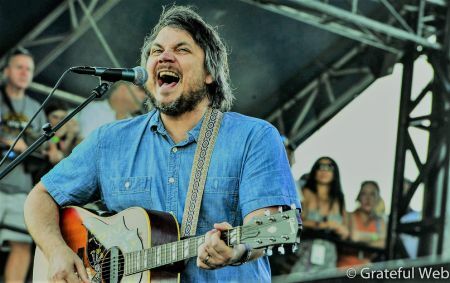 Jeff Tweedy is set to hit the road again! Mr. Tweedy has announced a 2019 tour via Twitter in support of his upcoming album WARM, set to be released Friday, Nov. 30. The tour will kick off with four sold-out nights at the Largo at the Coronet Theatre in Los Angeles, CA beginning Jan.3. It will continue to make its way across the United States including stops in Austin, Tampa, Orlando, and Nashville before concluding April 13th in Decatur, GA with a set at the Amplify Decatur Music Festival. Fellow musicians Buck Meek and James Ellington will join Tweedy on select dates. Tickets will go on sale on album release day, Nov. 30 at 7 pm local time with a couple of shows available to purchase on AXS. See the full itinerary below. Along with the tour announcement, Tweedy has released yet another new song from the album titled "I Know What It's Like." The new song is also accompanied by its music video directed, edited and produced by Mark Greenberg. The psychedelic video features a floating head of Tweedy with fluorescent colors and patterns as the song progresses. See the visual spectacle here. "I Know What It's Like" serves as the second song released from the upcoming record, shortly following the lead single "Some Birds" released in September. He recently collaborated with norah Jones, for their song appropiately titled "A Song With No Name."